The first explosion happened at around 6pm Kabul time, targeting a wrestling gym in Qala-e-Nazer area in Kabul’s PD6. The first explosion was a suicide bombing while the second explosion was a car bombing that according to officials left at least 16 people dead and 65 others wounded. Farmarz had been reporting live from the scene of the first explosion on TOLOnews 6pm bulletin - just minutes before the explosion happened. Faramarz started working at TOLOnews three years ago. Despite his activities in culture, he continued with making dozens of reports on corruption, security situation, political issues, electoral issues, suicide attacks in Kabul and other parts of the country, and documentaries. He was 28 and was an exceptional person among his colleagues with a smiling face and a kind heart. The last post on his Facebook is about his work as a reporter. Ramiz Ahmadi, like Faramarz, was leading in his profession as a cameraman at TOLOnews. He pictured many reports from war-hit areas in the country. He worked for TOLOnews for four years and besides that he was a law student at a private university in Kabul. Ahmadi was 23 years old and was always trying to support his family besides continuing his education. His last post of Facebook was from one of his provincial trips for covering a story. This comes after TOLOnews lost another employee in an explosion in Kabul this year in April. 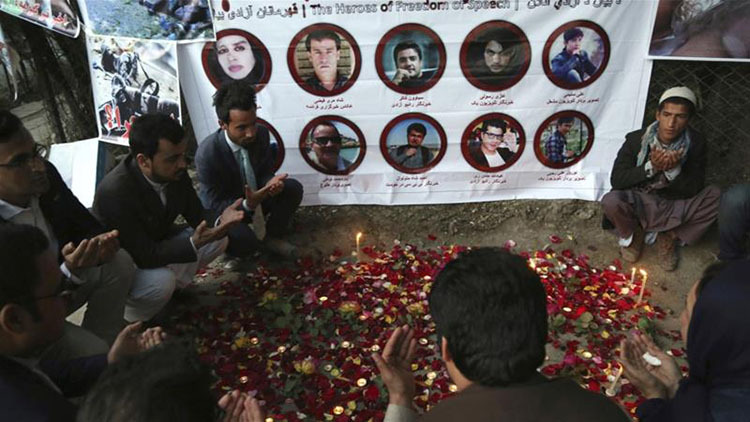 On January 2016, a suicide bombing took the lives of seven TOLOnews staff members. 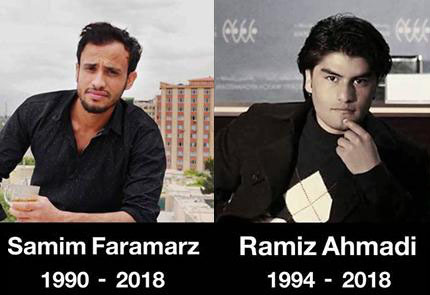 This is the second black Wednesday for Afghanistan’s media family.